Handcrafted and artisanal, this Alberta made product is made in small batches born out of passion and devotion to quality. 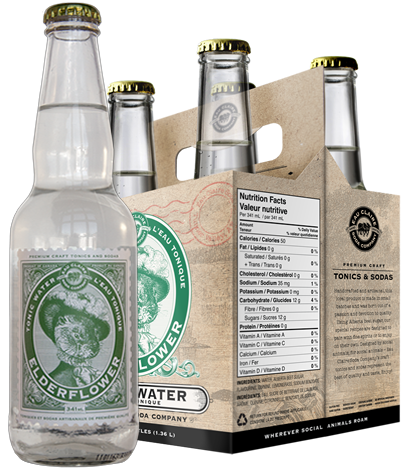 Eau Claire Soda Company’s Elderflower Tonic offers a subtly sweet floral flavour that is complimentary to any spirit or equally as satisfying on its own. A refreshing new mix to stand on its own or by any gin!